Getting your borrowers to complete ACH authorization so that the borrower can make automatic recurring payments is a goal for most auto loan providers. Using ACH for loan repayments drops the delinquency rate by as much as 80%. But the process of signing up for ACH isn’t without its own challenges: if borrowers are not able to complete the forms and provide authorization for ACH payments face-to-face with a loan agent, they are highly unlikely to carry it out. Borrowers are extremely averse to signing up for ACH. Often, this is because of a lack of knowledge about how ACH payments work, which makes borrowers nervous that the lender might take unauthorized payments. However, even when borrowers do agree to make payments through ACH, they rarely complete the process. Signing up to ACH is a complicated and long process. Borrowers need to remember to find and download the ACH forms, print them out, sign and scan them back in, and then email them to the lender. The process is so off-putting that fewer than 40% of borrowers end up completing it. With few borrowers using ACH, there’s a greater likelihood that they will miss a payment, causing loans to fall into a poor standing order and leading to a greater rate of delinquencies and overhead costs in recovery. Recurring payment orders, in general, bring about delinquency rates that are at least 50% lower than non-recurring payment methods. Only 20% of customers feel sure of themselves when buying a car. This insecurity increases their reluctance to add another paperwork-heavy process onto the loan application experience. Today’s technologies make it possible for lenders and loan agents to communicate with borrowers in real time, boosting their confidence and increasing their willingness to apply for ACH payments. A collaborative, browser-accessible, simplified ACH signup process boosts the number of loan applications that are submitted correctly the first time around. For example, collaboration enables the loan originator to review a borrower’s ACH application on the spot, and point out incomplete fields that need to be filled and mistakes that need to be fixed. At the same time, the borrower can make sure that their personal details, account numbers, and relevant information are filled in correctly. With a borrower and loan agent collaborating on the process, basic mistakes like a wrong birth date will be caught much sooner. For lenders, being able to instantly communicate with clients streamlines the final financing process of ACH signup. For borrowers, real-time guidance to sign up for ACH payments removes the frustration of misunderstood instructions and returned applications that require correction or completion. Ultimately, a streamlined ACH application process through a shared application completion platform increases your organization’s ROI through fewer missed payments and delinquent loans. With nearly 70% of searches for auto loan information conducted on mobile devices, and 43% of adults saying that they regularly use their smartphone to manage finances, optimizing ACH application forms for mobile use is a requirement to increase ACH signup. Some important ways to optimize forms for mobile devices include using top-aligned tables and fields; incorporating collapsible menus and drop-down lists; utilizing relevant list selections; and minimizing the amount of required information and deploying pre-fills wherever possible. Mobile optimized forms can also utilize users’ settings to auto-complete certain fields. Simplifying and streamlining ACH application forms by using preconfigured smart e-forms is another strategic step in increasing the use of ACH payments. 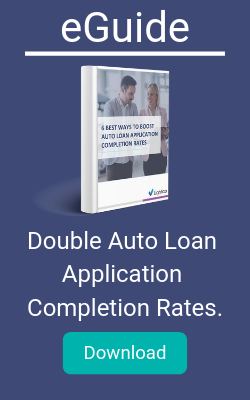 One of the most frustrating parts of the loan application process for consumers is that it requires time consuming manual data entry to complete complex forms. This all too often leads to multiple errors and omissions from long and confusing forms, causing many loan originators to have to call back customers for correction. Auto lenders confirm that using smart-forms and data-integrity solutions reduces rework by 80%. When left to complete these complex ACH application forms on their own, borrowers frequently become frustrated and abandon the process. A simplified ACH form is much simpler than those currently in use. With fewer fields to fill in, lenders can assist a customer in completing fields in real time, in person, over the phone or via chat. Overall, simplified, streamlined, mobile-optimized forms double ACH take-up. ACH authorization can be greatly streamlined by using guided e-signatures. Advanced tools on the market today make it easy to capture customer documentation instantly, while meeting regulatory requirements. This saves borrowers time and hassle, because all they have to do is perform functions on their mobile devices – selfies, photos, and finger swipes – that they’re already familiar with. Built-in fingerprint signing removes the need to download and print a form, add a specialist app, or carry out a clumsy digital signature through email or by navigating to a separate platform. By reducing time-consuming signature processes, tools for instant consent make the entire process of approving ACH payments more streamlined. When borrowers no longer have to switch between platforms and tools, they are less likely to abandon the process, or to become sidetracked and forget to ever return to it. With new technology, lenders can improve the uptake of ACH payments and thereby decrease the rate of missed payments and subsequent loan delinquency. Real-time collaboration with loan agents, simplified, mobile-optimized forms, and instant digital consent can all double the rate of ACH payment application and approval. With increased ACH uptake and reduced borrower frustration, lenders can improve their ROI and their profit line.